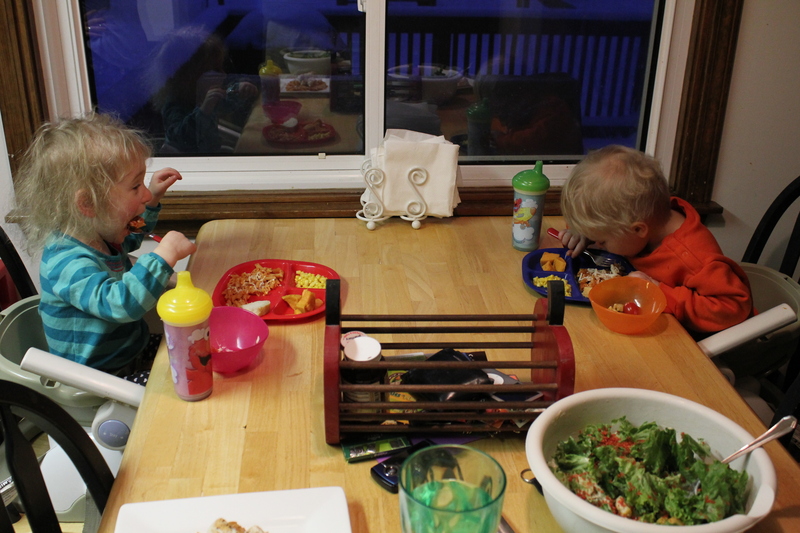 We have another recipe for the kids! You can find this dish all across Disney world. It’s a simple dish, but it has a good flavor if you do it right. 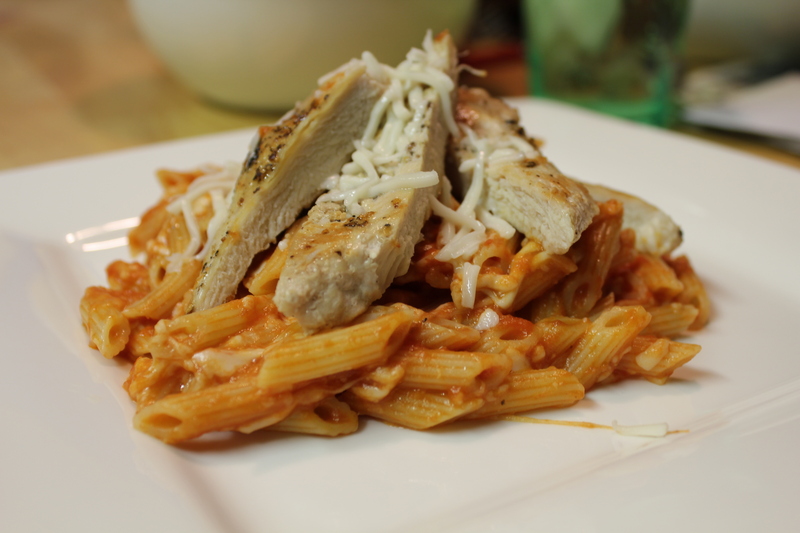 There are four main components to this dish: Pasta, Sauce, Chicken and Cheese. Treat these items right and you can have something special. First things first, Disney suggests using whole Wheat Pasta. 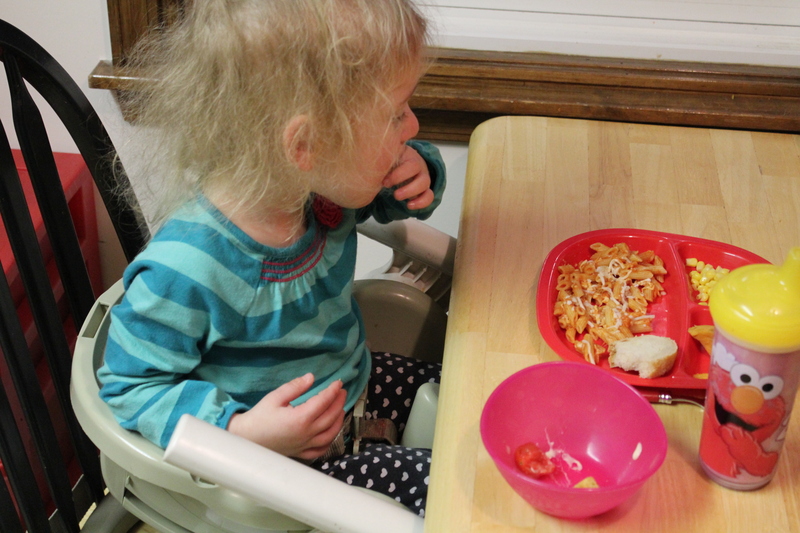 I talked about my thoughts on Wheat Pasta before. It’s a good choice, but this time I actually used regular pasta. It was very available in my basement. What’s more important is cooking the pasta correctly. I always suggest cooking your pasta in salt water. As the water is pulled into the dry pasta, it brings along some of the salt. I feel this is important because if you don’t use the salt, most pastas are rather flavorless. This pasta would work against a flavorful sauce, diluting the flavor, a very risky situation. If the flavor of the sauce is rather intense, a flavorless pasta might not hurt you too much. The issue is with sauces that have subtle fresh flavors in them. They are prone to being diluted. Having a pasta with salt infused in it helps support the flavor of a sauce. I wouldn’t go overboard with the salt, it could overpower the sauce. When I add my salt, I just eye it. If I’m concerned I added to much or not enough, I taste. I have heard from a few sources that they like to add fresh herbs to the water and let them steep prior to adding the pasta. Never tried it and I can’t comment on if it actually does any good. If you have ever tried it, let me know if it’s worth it. For this recipe just cook the pasta per instructions on the box, in salted water. About 2 cups of pasta should be fine. On to the sauce, 3 and a half cups of your favorite Marinara style sauce. My favorite Marinara sauce is my sauce and I’m not telling you how to make it, sorry. What I can tell you is why I make my own sauce and my you may want to consider making your own. I make my own because it is the best “value”. Value to some means; cheapest, to others; it may mean the best tasting. I look at it like this. Making my own sauce costs as much per unit as if I bought a jar of the more popular every day sauces at the grocery store. This would lead you to reason, well then why bother? Well, I find that these popular sauces are cheap, but the flavor is kind of bland. On the other hand, if your willing to shell out $4-$7 a jar, there are some excellent sauces to be had that are store bought. I don’t feel like paying that much, but I want that type of quality. By making my own sauce, I feel I get the quality of a high end sauce at the price of a low end sauce. That sounds like a good deal to me. It takes a while to get your sauce just right. I started by looking at a bunch of sauce recipes to determine the basic principle and built my own. The surprising thing is that it isn’t that hard to make, you assemble and let it simmer and check it out every 30 minutes. I make a 12 gallon batch at a time and the sauce freezes well. I intend to try out canning the sauce in the future. I would strongly urge you to try making your own sauce; it’s a good deal. And if you grow a garden, it’s a great way to use up all those tomatoes. 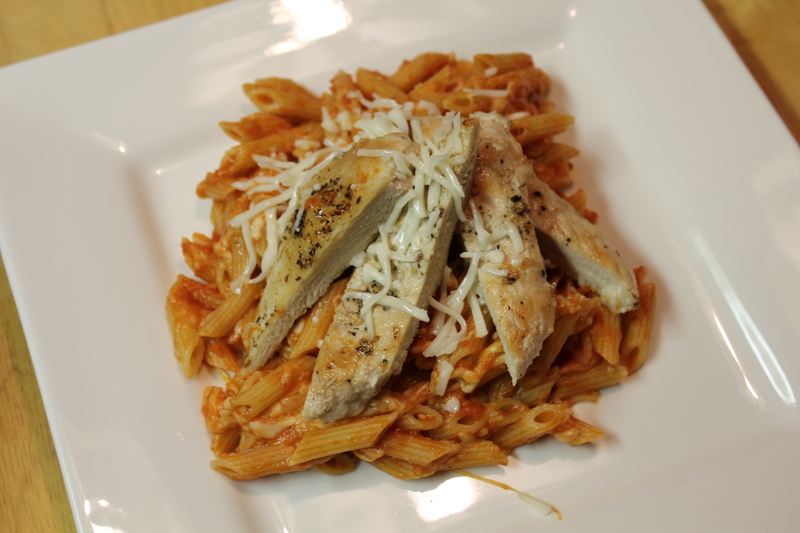 Now that we have our pasta cooked correctly, and we have a quality sauce, next comes the chicken. 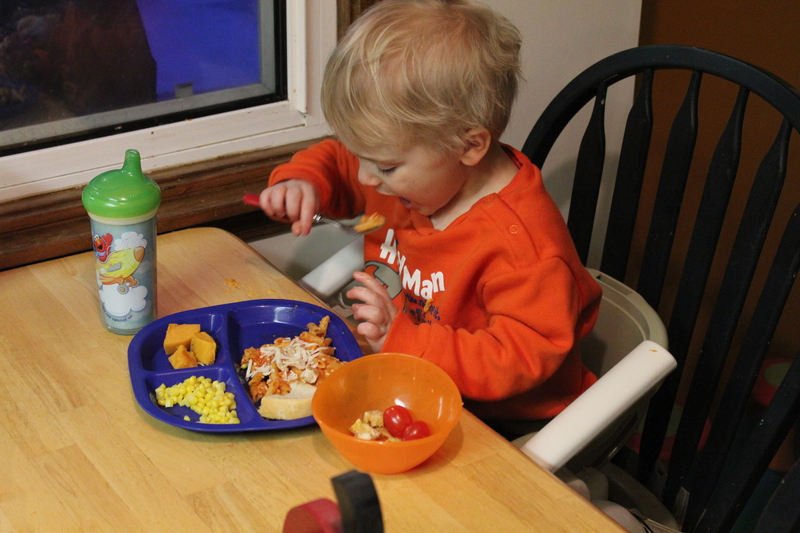 The recipe wants you to use about 4 skinless boneless chicken breasts, each cut into 3 equal pieces each. I used the boneless skinless chicken breast, but I did not cut them up prior to cooking. What’s important in this step is something called the maillard reaction. This chemical process is what causes that wonderfully delicious brown crust on a great steak or that delicious crust on your pizza. This process adds tons of flavor. Here’s a quick guide to getting the maillard reaction going. You need Amino acid and some type of sugar. On most protein, you don’t need to add anything but some salt. It’s best to sprinkle salt over your protein at least fifteen minutes before you cook. It brings the amino acids to the surface of the protein along with water soluble sugars present in the meat. 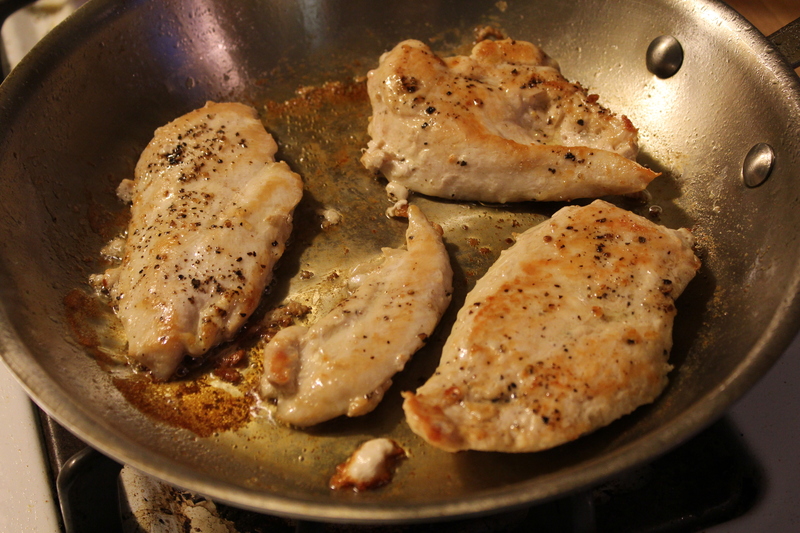 I cooked the chicken in a saute pan with some olive oil, trying my best to only flip once. To get the reaction you want you need to have solid contact with the pan that is as uninterrupted as possible. once one side is brown, flip and cook the other side. Just be attentive, things can go from brown to black quickly. One thing to note, this brown crust is water soluble, it can dissolve away, don’t let a finished piece of chicken sit in the pan or you may lose all that flavor. The last thing you will need is 1 and a quarter cups of mozzarella cheese, whole milk please. No point using a lower fat cheese that causes you to use twice as much to get good flavor out of the product. Now that we have all the components in place, mix the warm pasta with 1 and a half cups of the sauce, toss, then quickly toss in 1 cup of the cheese. 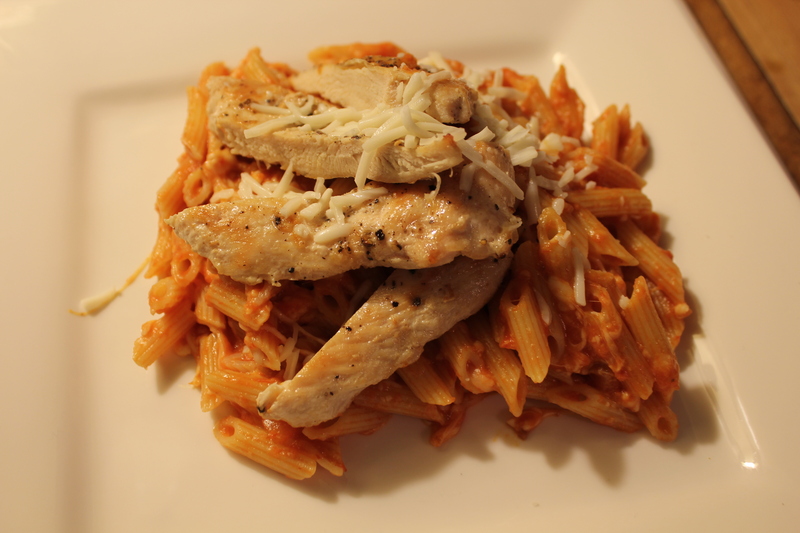 Plate the pasta, then slice the chicken into strips and lay over the pasta, top with more sauce and cheese. I like this dish. Doesn’t take long to cook. Chicken isn’t breaded and fried. The kids loved it. Catherine and I loved it. If you have the right ingredients and cook them well, I could eat this every week! Don’t think the kids would mind either.